The story of the other great Renaissance of black culture, influence, and glamour burst forth joyfully in what may seem an unlikely place—Pittsburgh, PA—from the 1920s through the 1950s. Some of the magic of Smoketown lies in the way it details how those fields often were connected, sometimes beneath the surface. Mainly, though, these colorful stories of great black accomplishments simply make for fascinating reading ... Whitaker ably demonstrates how the descendants and legacies of those white men directly affected Pittsburgh’s black community, in ways both positive and devastating ... Smoketown will appeal to anybody interested in black history and anybody who loves a good story. In short, anybody. Mr. Whitaker, a veteran newsman whose credits include a stint as the editor of Newsweek, is a lively writer ... It’s biography-driven, with arcs of individual rises and falls; it’s gossipy and vividly descriptive—in short, it’s a highly readable mix of history and journalistic narrative ... Mr. Whitaker is less an archivist and researcher than he is a synthesizer and storyteller. His great service here is pulling widely scattered anecdotes together to make a narrative that had never been fully told. Smoketown brilliantly offers us a chance to see this other black renaissance and spend time with the many luminaries who sparked it as well as the often unheralded journalists who covered it ... It’s thanks to such a gifted storyteller as Whitaker that this forgotten chapter of American history can finally be told in all its vibrancy and glory. 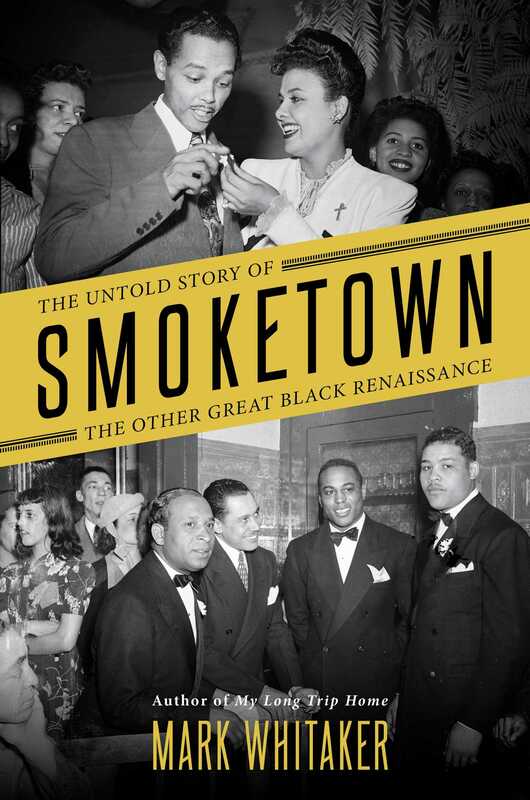 What did you think of Smoketown: The Untold Story of the Other Great Black Renaissance?